Yahoo has released the new IMAX poster for MISSION: IMPOSSIBLE GHOST PROTOCOL. Tom Cruise looks like he's doing some death defyling sky scraping in this newest poster for the movie. 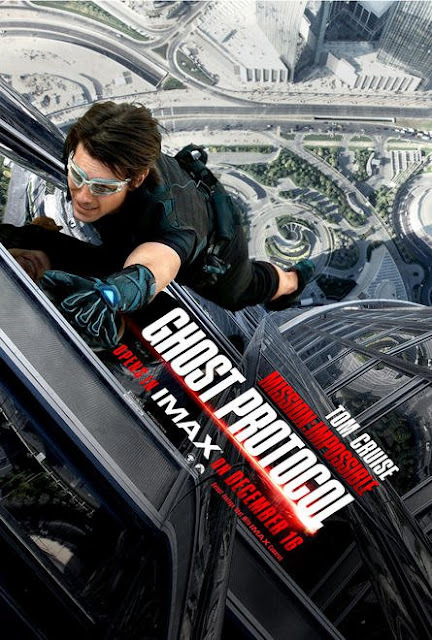 Mission: Impossible Ghost Protocol hits IMAX theaters on December 16th.